Unlimited Bandwidth Hosting – Should You Go For It? The two main items you look for when purchasing hosting is web space and bandwidth. Web space is the amount of space on your hosting server to host your website. Bandwidth is the amount of bytes available to transfer web pages from your site to visitors when they come to your site on a monthly basis. Text and images on a website consume capacity or bandwidth on the web. Both web space and bandwidth cost money. The data that is carried around the web is by network lines and these have a finite capacity. The amount of data that can be transferred at any given point in time is limited. Similarly, the physical size of the hard drive of a web server is what determines the amount of space of the hard drive. This space is also fairly limited. How much web space and bandwidth do you really require? 50 Mb or less of space would be adequate for a 200 page website which would include text and images. 1 Gb to 5 Gb’s would be adequate bandwidth space for the same features of a website. 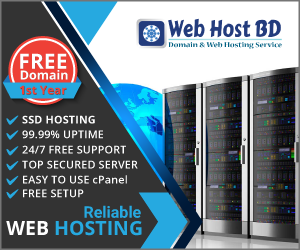 A lot of hosting providers today offer unlimited bandwidth and space hosting. By this unlimited hosting package, they are trying to imply that an unlimited amount of traffic can come to your website with no implications at all. Let me tell you unlimited bandwidth hosting does not exist. It sounds very enticing though, doesn’t it? This is just a marketing gimmick to get you to buy. When such companies advertise unlimited bandwidth hosting they are hoping that the website will not exceed its bandwidth as most websites generally use a very small amount. But on a particular day your website may exceed that bandwidth as the number of visitors increase. That is the day you will not want your website to go down, as loss of visitors to your site means loss of business to you. So then do you go with those hosting companies that advertise unlimited bandwidth and space hosting. The answer is yes, but please keep in mind there is nothing called unlimited bandwidth hosting – just CHECK the company’s Terms of Service as to what they really mean by it.